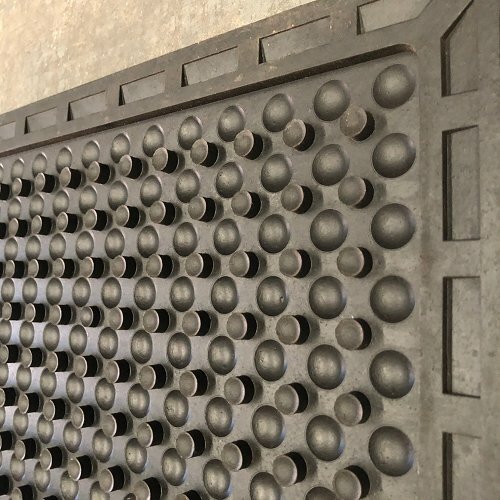 Uniquely designed suction cups that act as supports for air cushions and flexible texture of pure natural rubber, bring together buoyancy and superb comfort not found in any other rubber mat. Natural rubber compound of SuperComfort mats provides excellent insulation against heat or cold off hard floors. Raised dome design offers good slip resistance. 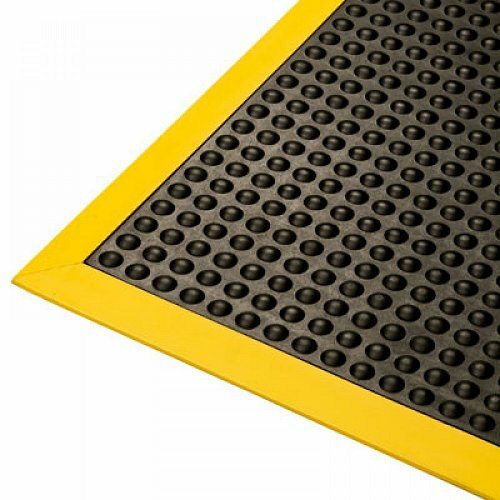 Functionally effective suction cups underneath hold the mat firmly on the floor. 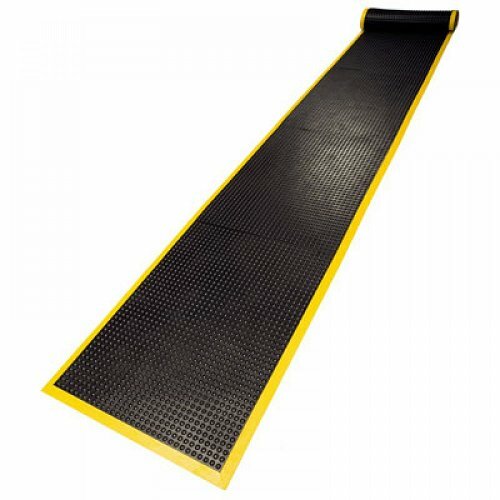 Highly visible, colourfast and integral (built-in) broad yellow ramps minimise tripping hazards. 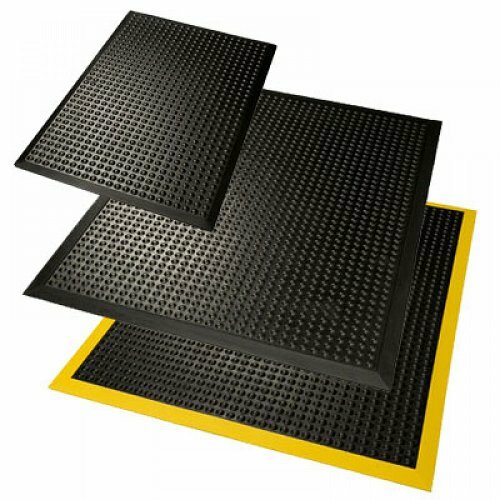 Compared to other "bubble/dome" mats, the low profile domes of SuperComfort provides a more stable surface eliminating heels/feet roll-over hazards, while facilitating ease of turning, twisting and movement on the mat. Compared to other "bubble/dome" mats, the low profile domes of SuperComfort minimise collection of grime and dirt on mat. Very easily cleaned with a mop. High density rubber compound ensures quick drying and prevents bacterial and fungal growth. Resistant to all detergents and bleach etc. Better tensile strength and tear resistance compared to any other anti-fatigue mat. Excellent durability yielding long term cost savings. Product warranty 3 years.